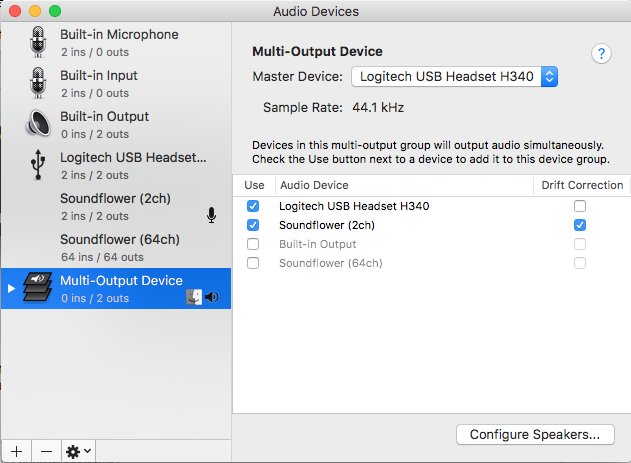 I was able to create a multi-output device included is Soundflower and my headset. 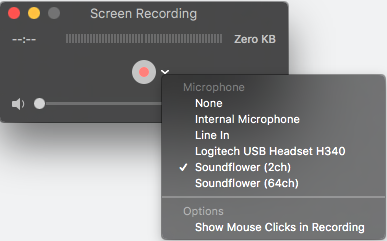 In Quick Time; Soundflower is selected to record the other party's audio. In a meeting; I am able to record the audio coming from the other party's end but I could not record the audio coming from my mic. Am I missing a configuration? Browse other questions tagged ios screen-capture quicktime . How to record the sound also in a screen recording if the headphones are connected?